Preheat oven to 175 degrees Celsius. Mix rolled oats with 1 cup boiling water. Set aside, let cool. Cream together butter and sugar, add eggs, add remaining ingredients and rolled oats mixture. Blend well. Bake for 30 minutes in a greased and lined 20cm square cake tin. Cool, ice with a chocolate icing. 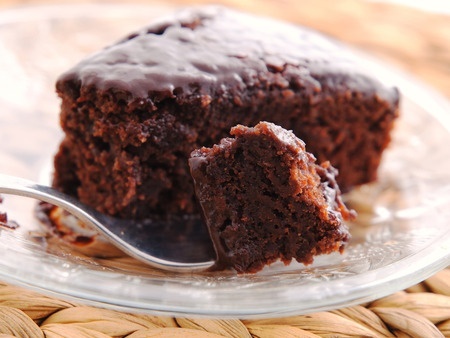 This is a very moist and delicious chocolate cake.